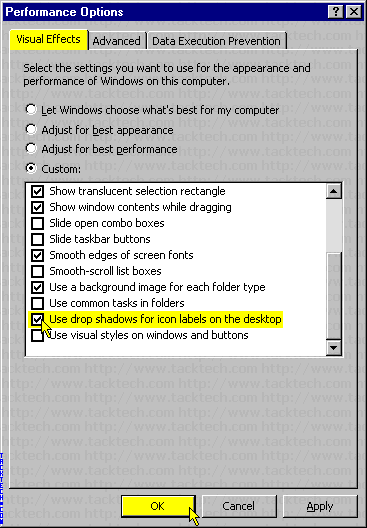 Enable drop shadows for Desktop Icons labels (Windows XP) - TACKtech Corp. This tutorial will show how to enable drop shadows for desktop icons labels. 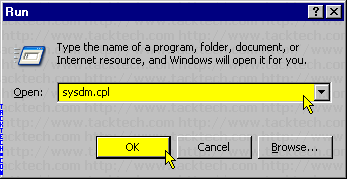 Type sysdm.cpl in the Open: box. 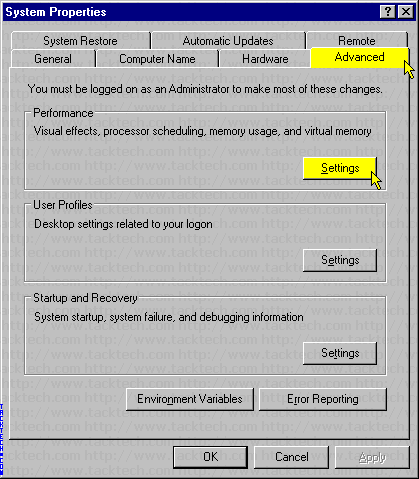 Check the Use drop shadows for icon labels on desktop checkbox. Note: If the Desktop icons are outlined with a solid color See Article TTID #184.